The creation science movement has not been able to speak with one voice for years. And now we know why. Less than two weeks ago, a bold commentator broke decades of unproductive silence on the real issue. One man, among all creation scientists, has a unified and comprehensive theory of the Global Flood. That man is Walter T. Brown Jr., and that theory is the Hydroplate Theory. Now we know the real reason why the larger creation movement rejected it out-of-hand. And the grounds were not scientific, and still aren’t. Bob Enyart has the most powerful Christian radio ministry today. (Family Radio effectively died with Harold Camping.) He has a program that relates directly to this issue. He calls it Real Science Radio. He usually targets evolutionists. They say they do science. But real science, says Enyart, means seeking the simplest explanation for the facts and events you see around you. All the facts and events. On August 22, he released a new program to Blu-ray, DVD, and high-definition download: The Global Flood and the Hydroplate Theory. For most of the program, he defends the Hydroplate Theory against the two most prominent alternative theories. One is the catastrophic plate tectonic theory of Baumgardner, Humphreys, Vardiman, et al. The other…but that will bear mention later. Enyart has a mission: to champion real science against anything that pretends to be science. Usually such pretense comes from evolutionists. But in this program he must, with respectful sadness, rebuke his fellow creationists. Why? Because they have made the same error the evolutionists made. They invest a lot of emotion into defending a particular model of the pre-Flood Earth and the Global Flood. And they hold a long-standing, and unseemly, grudge. Early in the creation movement, two visions of creation competed for the attention of creation advocates. The Hydroplate Theory was not the first. The first vision did not even come from a creationist. It came from an old-earth origins scientist. That scientist, for reasons perhaps he best knew, wanted to persuade Christians to accept his theory. So he quoted the Bible and key verses in it. But he did not believe in the Bible. Instead he cited creation “myths” from classical and other Near and Far Eastern traditions to suggest early humans saw the phenomenon he described. His name: Isaac Newton Vail. His creation vision: the vapor canopy theory. Walt Brown, in In the Beginning: Compelling Evidence for Creation and the Flood, describes this in detail. He believed that a canopy formed millions of years ago as the earth evolved from a molten state. Vail supported his case primarily by ancient mythology. In his opinion, this included Genesis 1:6–8a. Then God said, “Let there be an expanse in the midst of the waters, and let it separate waters from waters.” And God made the expanse, and separated the waters which were below the expanse from the waters which were above the expanse; and it was so. And God called the expanse heaven. The Hebrew for expanse is raqia, meaning a sheet of beaten metal. And the word for “heaven” was shemayim. Which usually means “skies.” But it could also mean “the place where God sees fit to dwell.” More on that in a future article. But Vail interpreted shemayim as the literal sky, and raqia as a sphere of matter in the sky. He thought it was water vapor. John C. Whitcomb and Henry M. Morris seem to have accepted this theory uncritically. In any event, they took it, changed “millions of years” to “thousands of years,” left Vail’s name off it, and showed it to the world as their answer, in The Genesis Flood, to the question: where did the Flood waters come from? Beginning in 1990, Larry Vardiman, at the Institute for Creation Research, knew at once the vapor canopy theory had a deal-killing problem: heat. A vapor canopy even four miles thick would trap enough heat to turn the earth into a hothouse with boiling oceans. Nothing could live here. (Carl Edward Baugh has proposed a canopy made of different substances, like liquid hydrogen, or lately, a silicate crystal called sugilite.) In 1998 Vardiman and Bousselot tried changing five different conditions of the earth to see whether the surface would cool down enough. They found they might support a vapor canopy 2.0 meters thick. In 2003 Vardiman tried again, with the latest climate-modeling software. Bob Enyart describes his findings: the sun would have to be 75 percent dimmer, or the upper atmosphere would have to filter 75 percent of the sun’s light that falls to the ground today, or the earth would have to orbit the sun at 1.5 AU instead of the 1.0 AU distance it keeps today. The problem: the higher-ups at the Institute for Creation Research still wanted to rescue the vapor canopy theory. But Walt Brown was having none of that. 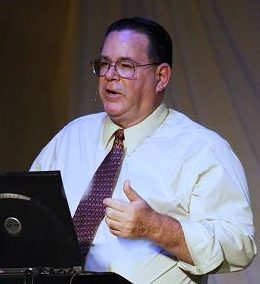 In the then-current edition of his book, he publicly declared the vapor canopy theory scientifically and Biblically bankrupt. In this, Brown does not stand alone. The old-earth site Evidence for God rejects it soundly, and on similar grounds: it would be too hot underneath it, and the Bible does not unequivocally describe such a canopy. The site Accuracy in Genesis points out another obvious flaw: coal deposits should be uniform if such a canopy existed. They are not. Relationships, once soured, are very difficult to repair. This entry was posted in Scientific models by Terry Hurlbut. Bookmark the permalink.